Pilotage Control of 80 motors in the energy and industry sectors using 3 electric cabinets. 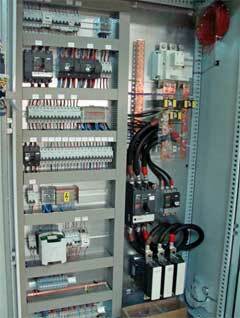 The function of this first cabinet is to provide the power supply to the two other cabinets in the installation. Two door steel cabinet plus base, fitted with lighting and ventilation.